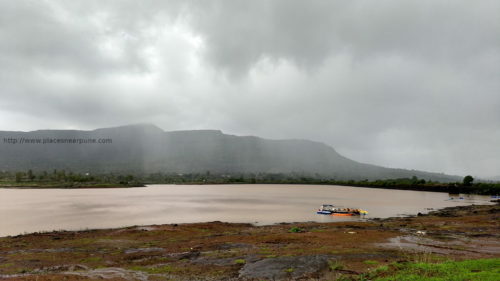 Ajivali is a small village in the backdrop of Pavana Dam. Around 2 kms from the village, a little higher up the mountains, is a devrai. Devrai is a sacred forest where the villagers don’t remove even fallen leaves from within the forest. So, the forest is usually very dense. One negative side effect is that the people don’t even remove the plastic plates they bring inside the forest for the festival lunch. This makes a sore sight in the otherwise beautiful forest. Location of Ajivali and the route from Pune (Magarpatta city). Searching for Ajivali on google maps takes you to some other village also called as Ajivali. I have shown the route below. 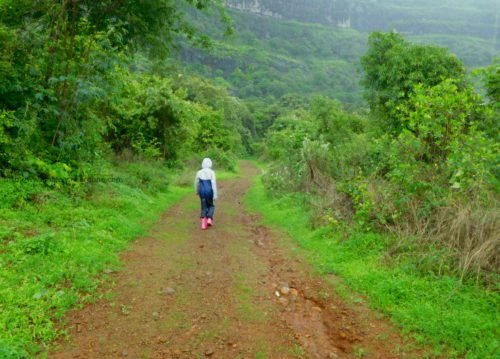 it is quite straightforward if you know the area around Hadshi temple or Pavana Dam. 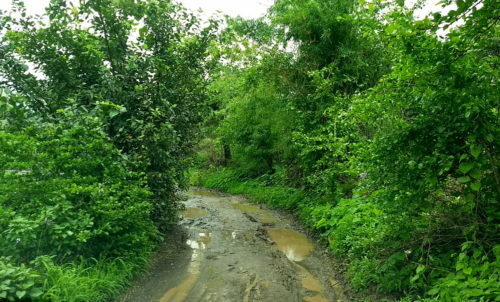 The last km to Ajivali is a narrow road and will be slushy in the monsoon. That narrow road will take you to a small temple. You have to drive through the village and park at the other end. From the village, it is an easy 2 km walk to the temple. There is a gradient, but you won’t notice it as it is very gradual. Within the first half a km, you will see a waterfall on the left. You can actually climb up the waterfall. it is small enough to be safe, but has enough spots for tons of photo opportunities 🙂 Also, there are lot of deviations from the main route which will take you to many waterfalls. 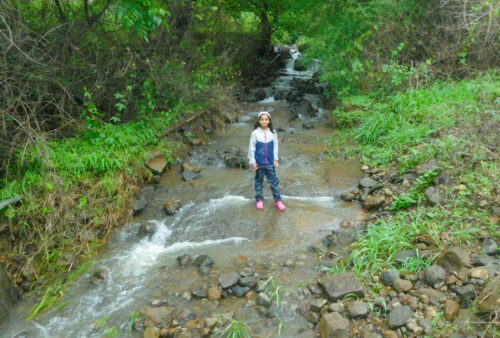 There is only one stream which flows from the mountain to the village and the trail follows this stream. 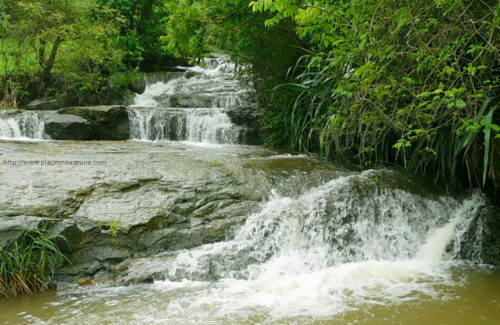 So, you will see many waterfalls along the route. 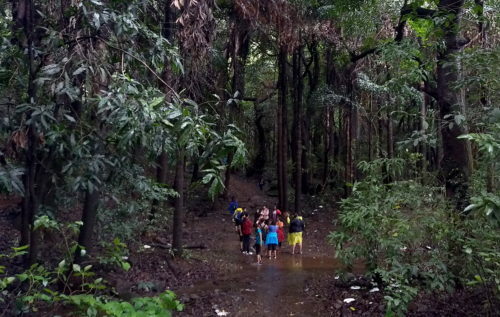 The walking trail can get quite muddy in heavy rains, but it is fun. I went along with akshara and both of us had worn boots. 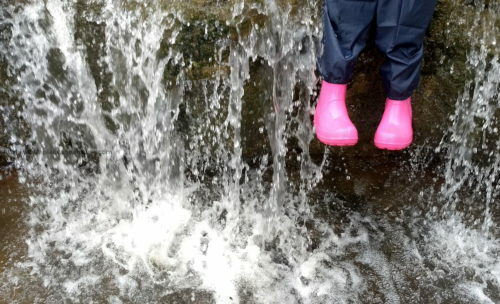 So, water or slush, we were just walking through! Better to wear shoes or sandals with a good grip as the slush makes the path slippery. We also saw a small snake. Few other guys who knew their “snakeology” said that it was a harmless snake and even picked it up. The walk would take around 2 hrs with lot of stops. it was post lunch time and both of us were quite hungry. On the way back, we took a detour to hadshi temple to have sabudana, bhel and chai at their canteen. An easy one day for the family. Friends went to this based on your recommendation and they were very happy. Thanks bro. Hey – does the trek end at Hadhshi temple? Thanks for exploring and sharing details of places like this. How safe is it? I am hearing about this place first time. Thanks to you. Will explore today. Can we go by bike? Any car can go. Just the last 500 ms is narrow and slushy. Is this is accessible by hatchback or only SUV.